An international trailer for Star Wars: The Last Jedi was released on Monday and it contains new footage not shown in the previous trailer. 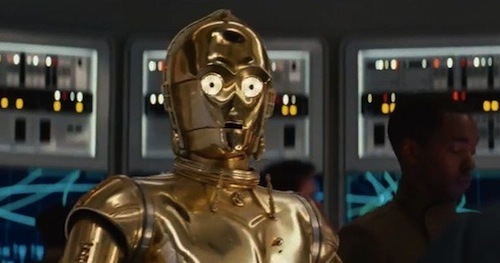 Fans get their first look at C-3PO. The prissy protocol droid's golden right arm, which was red in The Force Awakens, has been restored. There's new dialogue from Rey, asking for help, and extra clips of BB-8. This latest trailer, again, suggests Luke Skywalker (Mark Hamill) is fearful of Rey (Daisy Ridley). Does she turn to the dark side? This is a long-held theory I've had since The Force Awakens. I'm increasingly convinced Kylo Ren (Adam Driver) will turn back to the light side and join Luke Skywalker to battle Supreme Leader Snoke (Andy Serkis) and Rey in Episode IX directed by JJ Abrams. Maybe that's too obvious? 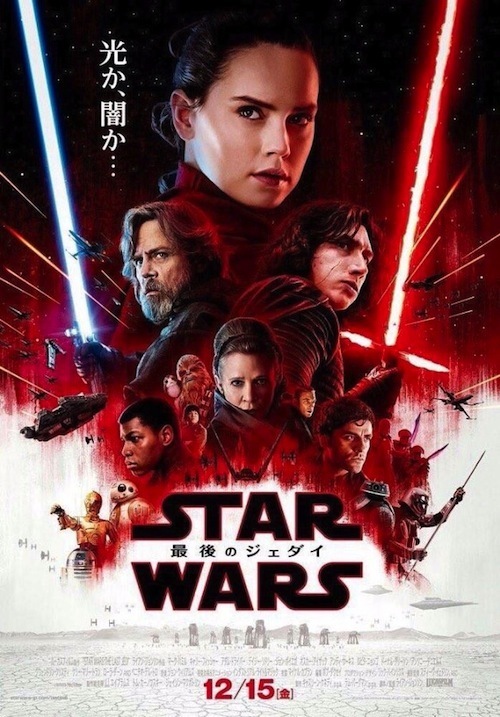 Certainly, the new international poster suggests Rey's conflicted nature, which reprises Anakin Skywalker's journey to the dark side in the prequel trilogy. Regardless, I trust director Rian Johnson with a sequel worthy of The Empire Strikes Back.